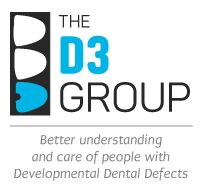 Again building on the Basic Guidelines,here we aim to define the key "shades-of-grey" questions, as may be asked by experienced GPs and paediatric dental specialists, and as could be used in experimental design by researchers. As a starting point, please consider existing guidelines (summaries below) before proceeding to rethink the issues through in a research-friendly way. Q A1: Severe case – extract or restore? how many dodgy teeth are candidates for extraction? caries? – how advanced, pulpal involvement, endo prospects? how restorable? – how long will it last, and then what? oral hygiene? – secondary caries, and then what? pain? – will restoration/desensitisation provide adequate relief, and for how long? malocclusion? – will extraction help or hinder, other ortho aspects? cost, compliance and other considerations at patient level? Q A2: Moderate case – preventive repair or restore? will a preventive approach work long-term? what variables are key? 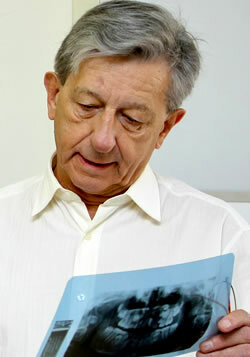 – lesion number/size/location, caries risk, patient compliance...? restore proactively? – any benefit to getting in early, before it turns to custard? how well can moderate lesions be stopped from progressing in the long term? Q B1: Mild & moderate cases – what's the best way to stop progression? can we reasonably expect to maintain or mineralise a Hypomin lesion? – mild?, moderate? what approaches work best for remedial mineralisation* ("rem-min") of Hypomin enamel? when best to use fluoride? – how best to use, which formulation? when best to use CPP-ACP? – how best to use, when to use plus-fluoride formulation? when best to use resin? – how best to use, which formulation & protocol? when best to use GIC? – how best to use, which formulation & protocol? are mild cases (intact surface layer) a different proposition than moderate cases? should an intact surface layer be removed? should protein removal be attempted? – does hypochlorite approach work? does technique for resin infiltration of caries work on Hypomin enamel? Remember that, whereas "remineralisation" is properly coupled with caries-related "demineralisation", it is inappropriate to use this term in context of Hypomin because mineral deficiency exists from the outset. In other words, current understanding dictates that mineral-based repair of a Hypomin lesion is a different proposition than for caries. And with practice, Rem-min can be said just as easily as Remin. Q B1: What works best for pain control (desensitisation)? is there anything distinctive about treating Molar Hypomin-associated pain? special considerations for mild cases? – is it due to invisible porosity? special considerations for moderate/severe cases? why the apparent disconnect between painfulness & lesion severity? – is porosity key? what desensitising treatments work best for painful mild and moderate cases? Q C1: How far does the Hypomin lesion actually extend? does the visible Hypomin lesion strictly match the extent of affected surface enamel? does the invisible sub-surface lesion always match the surface lesion? – any tortuosity? so how far should margins be extended? – for bonding?, for filling? is visibly-unaffected enamel in a Hypomin tooth clinically normal (cf. restorability, wear)? Q C2: Which restorative approach is best for Molar Hypomin? when best to use onlays or the like? – evidence base, for/against? any indications for amalgam? – evidence base, for/against? are "normal restoratives" (optimised for normal enamel) also ideal for Hypomin enamel? Q C3: How best to use GIC on Hypomin teeth? any particular considerations for GIC in Molar Hypomin context? – surface preparation? is there a preferred type of GIC for Hypomin cases? Q C4: How best to use CR on Hypomin teeth? any particular considerations for CR in Molar Hypomin context? is there a preferred type of CR for Hypomin cases? need for pretreatment of Hypomin enamel? Q C5: How best to use SSC on Hypomin teeth? any particular considerations for SSC in Molar Hypomin context? Q C6: What surgical analgesia approach works best? are all Molar Hypomin teeth "hard to numb" with LA? any links to severity (Hypomin/caries) or sensitivity? can hard-to-numb Hypomin teeth be diagnosed in advance? which LA administration technique works best? – is there a preferred LA formulation? with Hypomin cases, should GA receive stronger consideration than usual? As apparent from the FAQs, numerous research questions remain about the most appropriate treatment of Molar Hypomin, both at preventive and restorative levels. And clearly, such research will be done best using consistent criteria and terminologies for diagnosis, grading and treatment. Networks such as D3G could play a valuable role in coordinating such studies. Many opportunities exist for suitably-targeted research to spur the refinement of dental materials (i.e. customised to deal with the vagaries of abnormal enamel better), develop new approaches for dealing with porous enamel, and produce novel diagnostics that facilitate treatment decisions.